Darjeeling is a famous hill station in the state of West Bengal and is a very famous among the tourist for the serene beauty and climate. Padmaja Naidu Himalayan Zoological Park is located in the Darjeeling city, therefore, it is known as Darjeeling Zoo. It is not an usual zoological park like the ones in other cities of India. It is highest altitude zoo of India located at an altitude of 7,000 feet and area of the park is around 67 acres. This zoo was opened in the year 1958, a year before the National Capital Delhi Zoo. The main objective of the opening of this zoo was preserved the preserve the flora and fauna of the Himalayan. Indian Forest Service officer Mr. Dilip Kumar Dey was the founder of this zoo. It was known as Himalayan Zoological Park till 1975. In the year 1975, Prime Minister of India (Indira Gandhi) renamed the Zoo in the name of Padmaja Naidu during their visit of the park. Till now the zoo has undergone many changes to improve the facility for the visitors. 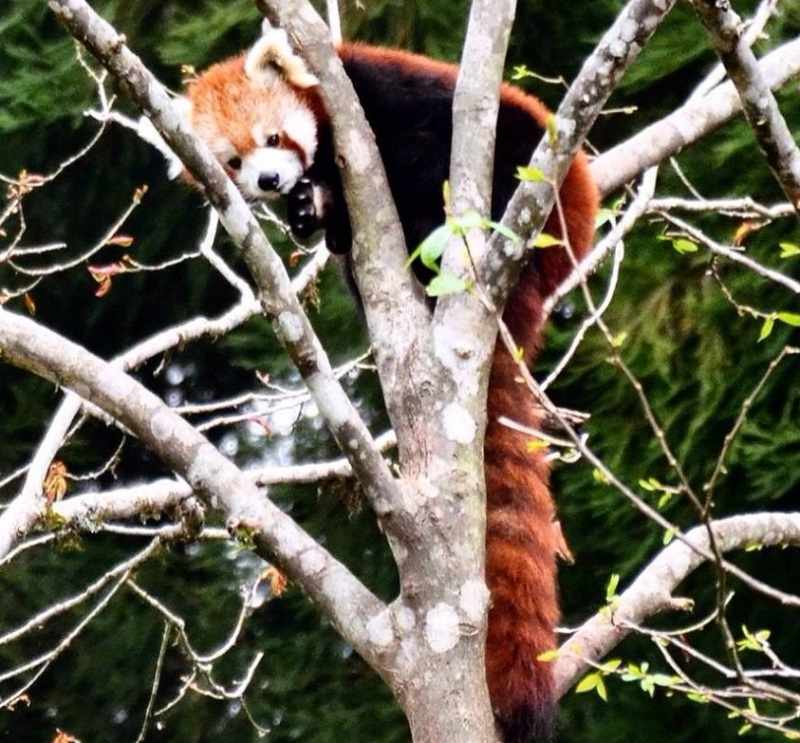 The zoo is running successful breeding programs for some of the endangered species, including red panda, Himalayan wolf and snow leopard. 150+ animals are in the zoo along with some colorful birds. A circular aviary is made for the birds inside the zoo. Some of the animals are tiger, snow leopard, clouded leopards, Tibetan wolf, bear, red panda, yak, Himalayan Tahr, Pheasant, star tortoise, etc. Apart from that more than 200+ species of flowers, trees, plants, etc. Padmaja Naidu Himalayan Zoological Park remains open for public all the day except Thursday. Opening time is 8.30 AM and closing time is 4.30 PM during summers. In winters, zoo opening entry time is same (8.30 AM) and closing time 4 PM. Entry tickets of this high altitude zoo is 60 Rs including the ticket of Himalayan Mountaineering Institute and museum. Child below five years of age are eligible for free entry. Camera and video camera are chargeable, a nominal fee of 10 Rs is charged for camera. All basic facilities are available inside the Padmaja Naidu Himalayan Zoological Park for the convenience of visitors. Drinking water and toilets are located in the oo complex. Canteens are also located inside the zoo, which serves light snacks in reasonable price. Polythene bags and plastic bottles are not allowed inside the zoo. Parking is available near the main gate. Signage boards, rain shelters, benches, Souvenir shop, wheelchairs are also available. Dresses are available here for clicking pictures in regional attire. Address is Jawahar Parbat, Darjeeling and contact number is 03542253709. Email ID is pnhzp@yahoo.com. Zoo is one of the most visited tourist place of Darjeeling and it is very popular. Zoo receives thousands of footfall on daily basis. It is must visit place if your are in Darjeeling due to it’s uniqueness. It is a kind of zoo, which makes them special.